Recently my friend and I went to a class at Sephora on flawless foundation. 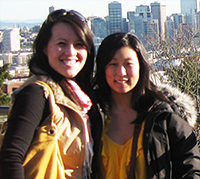 They helped us find moisturizers and foundations that worked best for our skin type. I love going to classes like these because like anything, new products are coming out all the time and plus it’s always fun trying new things. I always tease CJ that the way the world works is we make more money as we get older because of multiple reasons, but one being once we start aging our maintenance is all that much more. From hiding those grey hairs, gym memberships, wrinkle creams, it really adds up! 🙂 Oh to be young again. 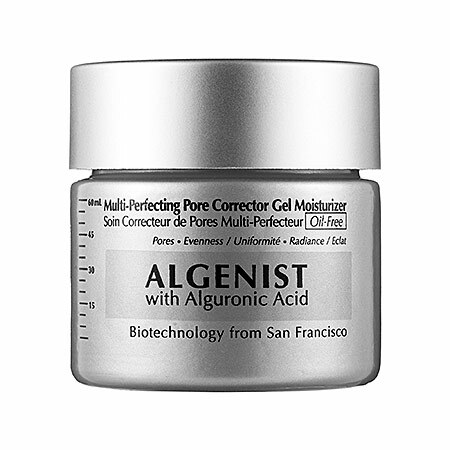 I have dry skin and larger pores so they recommended trying Algenist Multi-Perfecting Pore Corrector Gel Moisturizer (could they have thought of a longer name). I absolutely loved it and highly recommend it if you have a similar skin type as mine. Once I used this moisturizer followed by primer and foundation you couldn’t even see my pores! The company that makes Algenist is based out of San Francisco. And what makes this product special from the other wrinkle creams is that it’s a clinical skincare delivering anti-aging innovation from microalgae. I am not an expert on the science of how this moisturizer works, but all I can attest to is it worked on me. If anyone has a beauty product they highly recommend I’d love to hear about it!